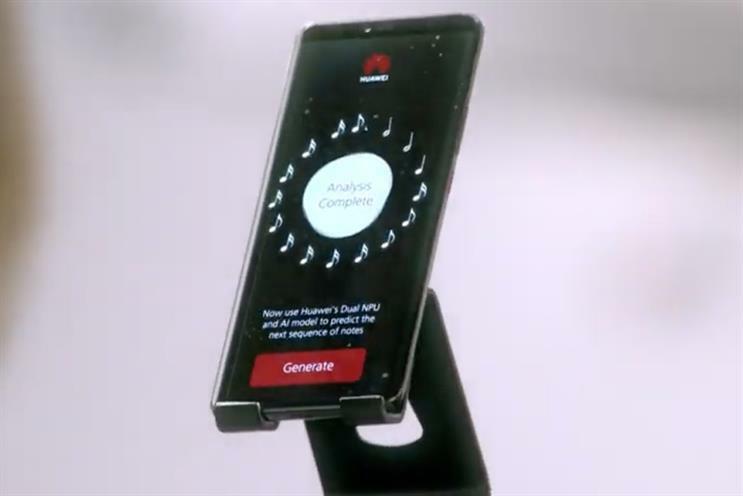 Huawei is promoting the artificial intelligence capabilities of its smartphone by showing how it can help achieve tasks as complex as writing music. Next week, the under-fire Chinese tech brand is unveiling a composition of the final two movements of Schubert’s Symphony No 8, commonly known as the Unfinished Symphony, which was created 197 years ago. While it is not the first time machine learning has been used to create, Huawei appears to be the first to show how it can be at least partly done using a consumer product. The AI used to complete the symphony is powered by the dual neural processing unit of the Mate 20 Pro smartphone. By analysing the pitch, timbre and meter of the first and second movements, the AI model generated the melody for the missing third and fourth. The brand then hired composer Lucas Cantor to arrange an orchestral score from the melody. The Huawei-completed piece will be performed at Cadogan Hall in London on 4 February. Walter Ji, president, consumer business group, at Huawei western Europe, said: "We used the power of AI to extend the boundaries of what is humanly possible and see the positive role technology might have on modern culture. If our smartphone is intelligent enough to do this, what else could be possible?" Since 2016, Luxemburg and UK start-up Aiva has been using AI to compose classical music, as well as soundtracks for film directors, ad agencies and video-game studios. Huawei has been the subject of Chinese espionage fears as the US and Europe look to roll out 5G mobile networks in the next few years. On 28 January, Huawei was served with criminal charges by US prosecutors over alleged theft of trade secrets from T-Mobile and violating sanctions by doing business with Iran. The US justice department also charged Meng Wanzhou, Huawei’s chief financial officer who was arrested in Canada in December last year, with financial fraud.